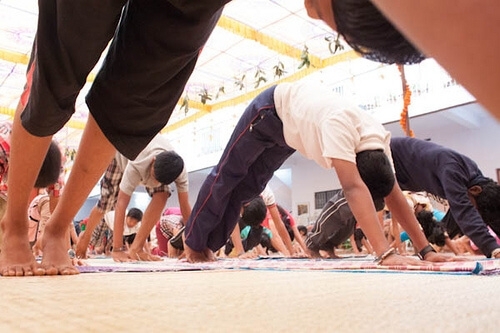 Gitamba gave classes every day combining pranayama and mantra to yoga. 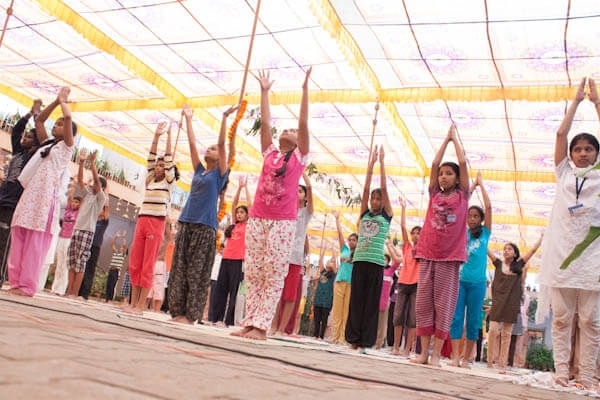 Boys and girls enjoyed these sessions throughly. 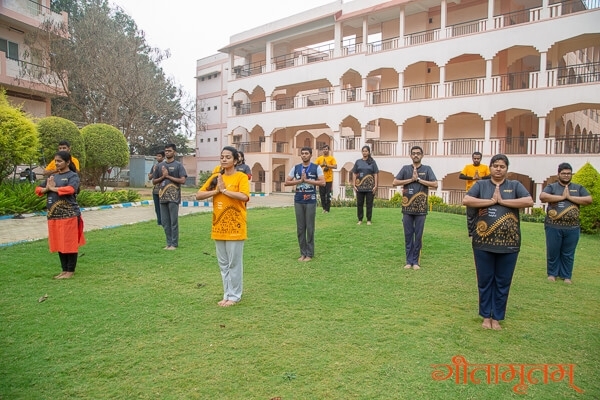 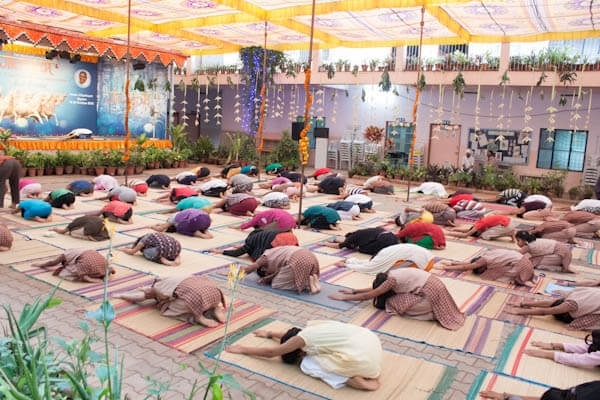 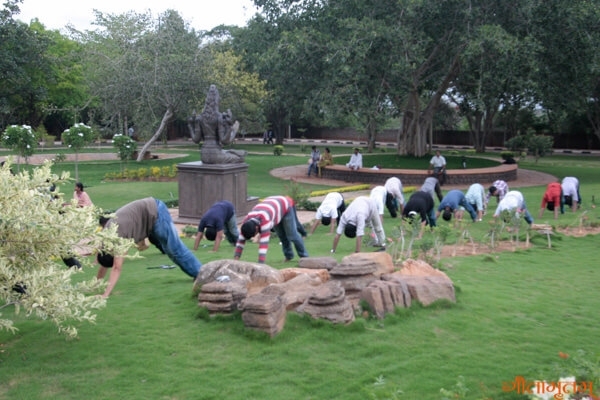 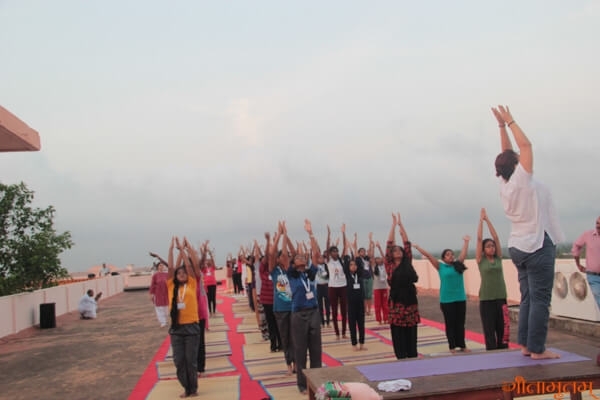 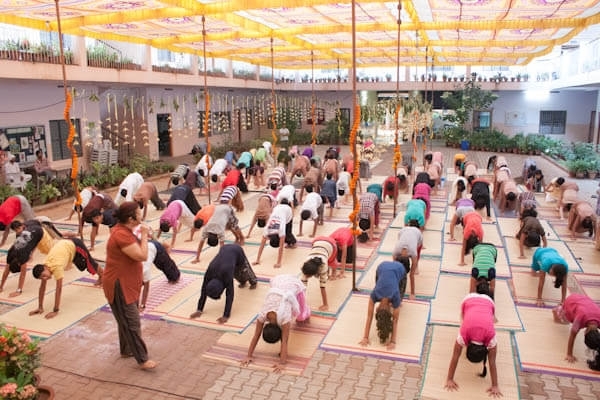 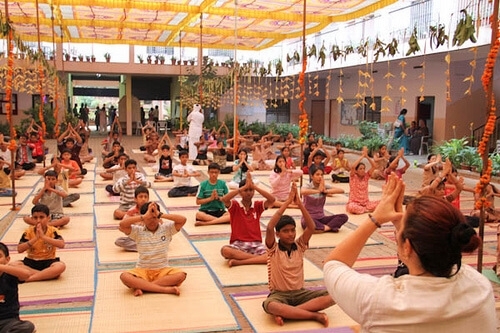 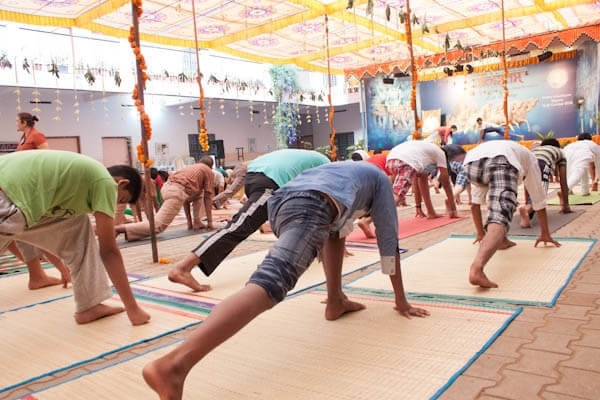 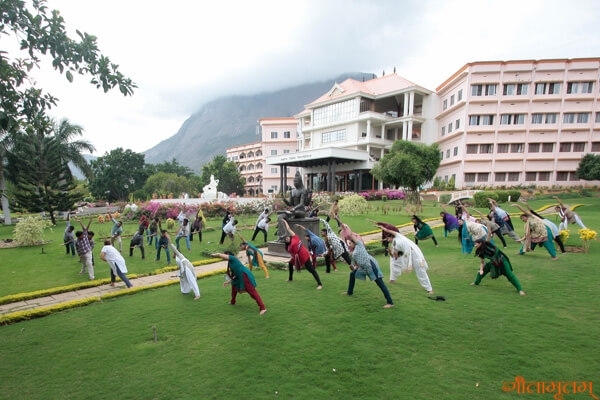 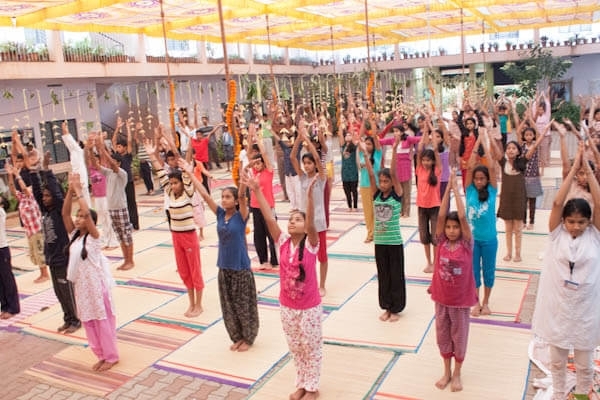 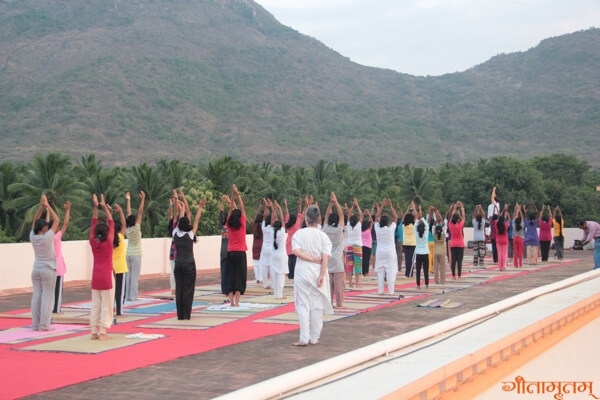 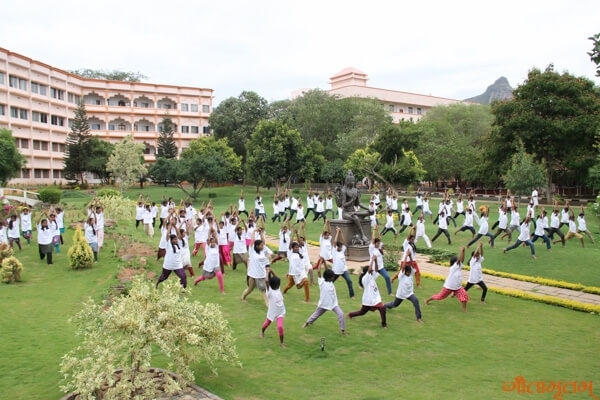 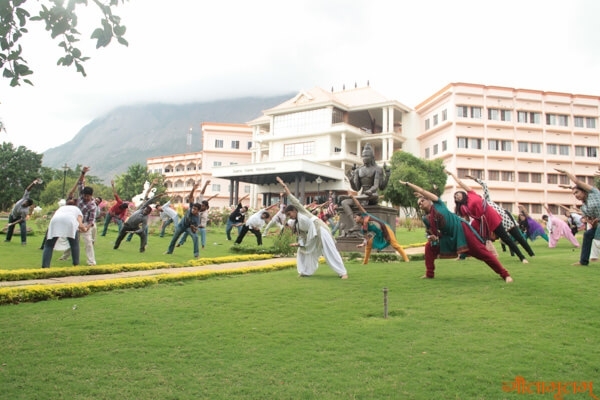 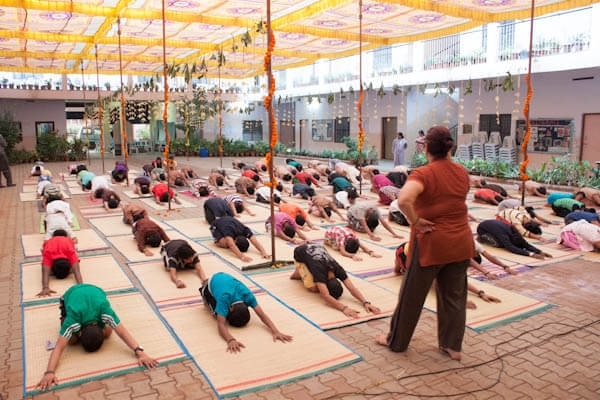 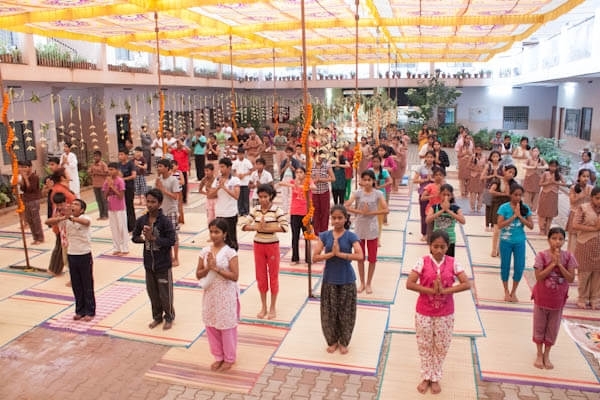 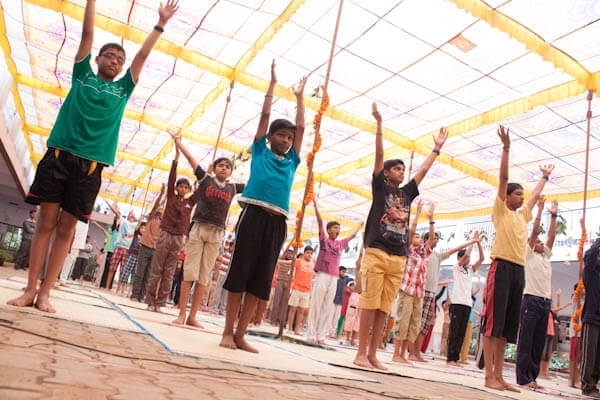 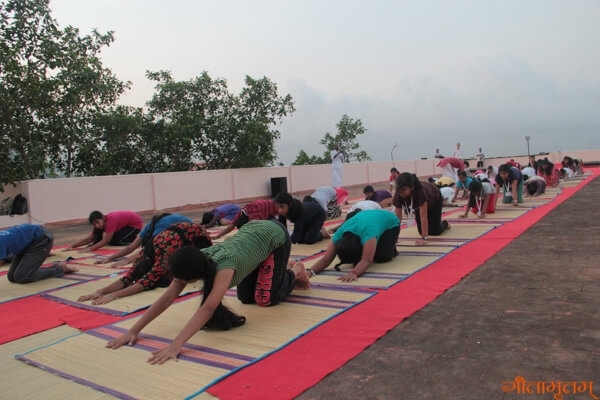 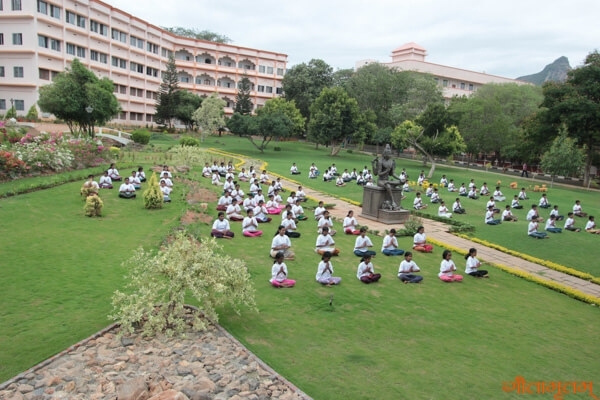 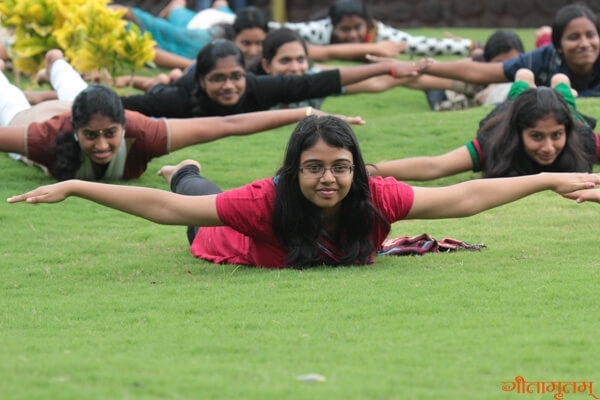 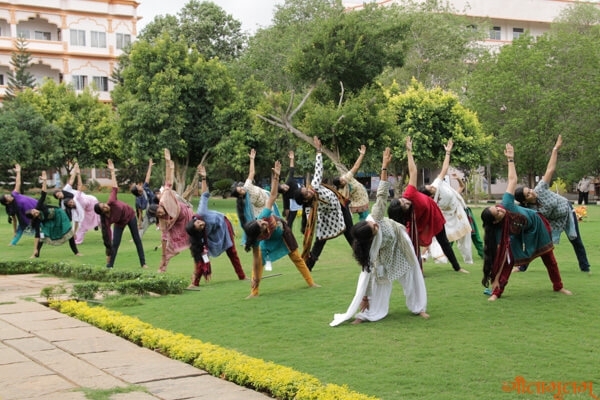 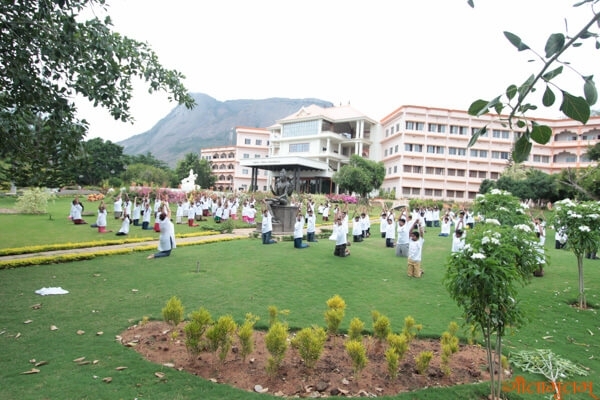 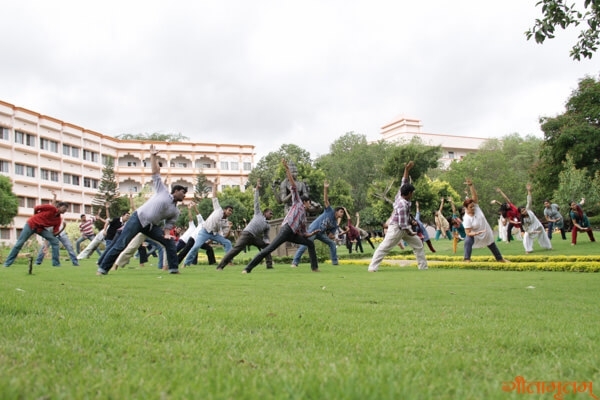 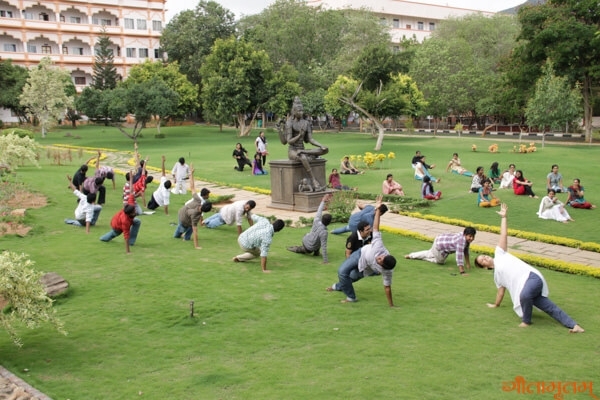 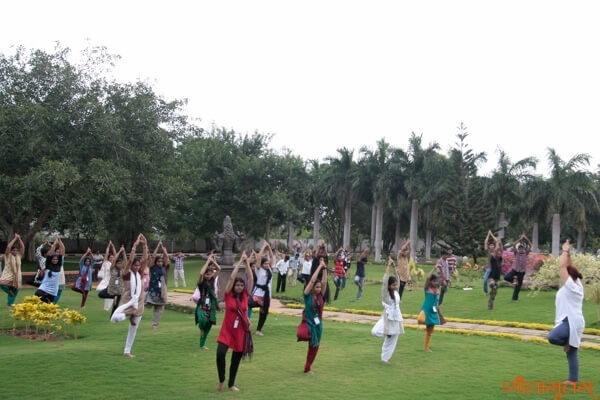 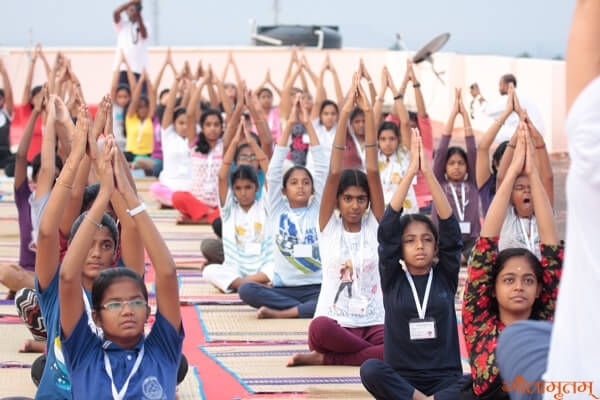 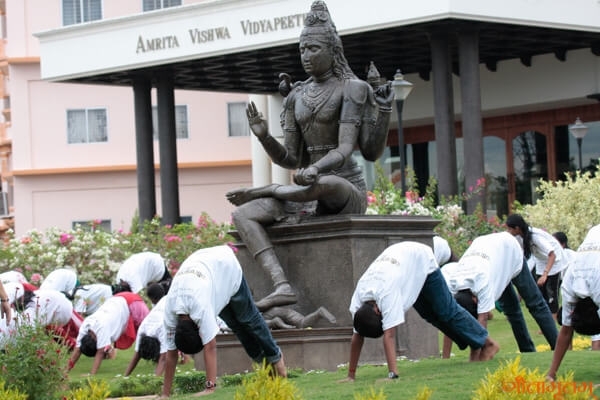 The benefit of each and every step in the Surya Namaskara was well explained and demonstrated. 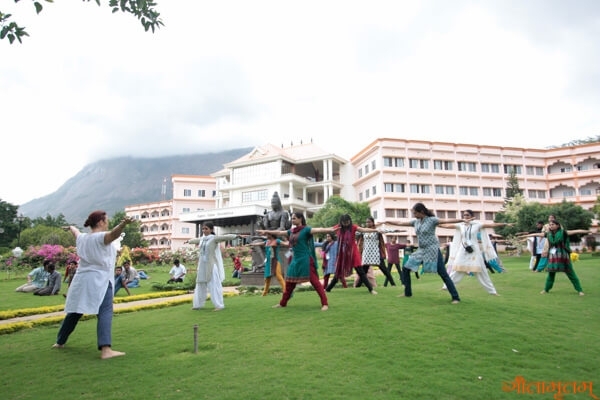 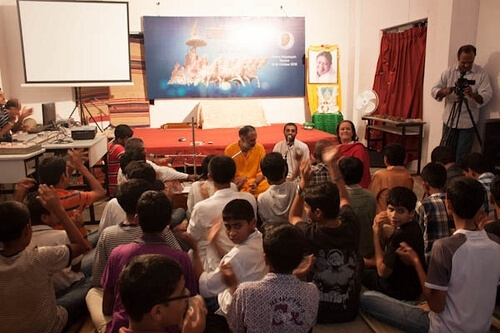 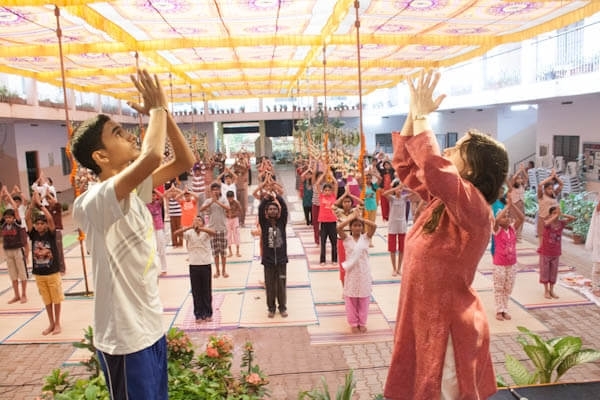 She taught integrated Amrita Yoga in a successful manner.